It has been said we all have a mental grid. It has also been said that all we learn is placed on that grid for future reference. As new information is introduced we cross reference it with what we have on the grid. The grid compares the new information with what it currently has and more of less filters it, evaluates it. 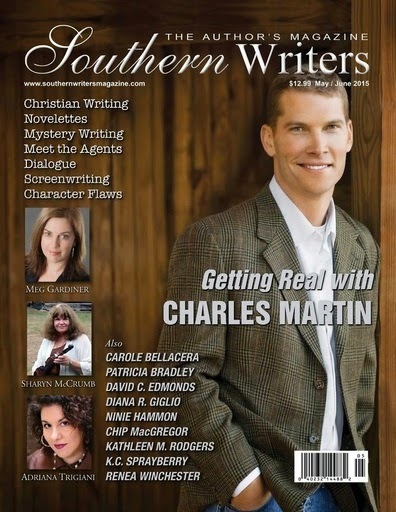 Over four years ago when we began Southern Writers Magazine our mental grid was flooded with new concepts and directions to go with the magazine. The concept we came up with is what you see today. Online and printed was the original concept and has continued to this day. New concepts are introduced frequently but what is familiar, what is etched in our minds and on our grid is the original concept we started with. Some of us have faulty grids. We have been taught incorrect concepts in the past. We once had a young man in his early 30’s, owner of a local magazine, approach us to sell his magazine to us. After talking to him for a while he confided in us he wasn’t getting out of the magazine business. He let us know that he simply wanted to sell this high maintenance production with difficult distribution and start another. He had discovered that online distribution was the way to go and was the way of the future. We were shocked that a thirty something was explaining to a couple of sixty something’s the wave of the future. He obviously was unaware of our magazine and how we had distributed for the last couple of years. His grid was faulty due to earlier concepts he had learned. He now realized his concept, although not faulty originally, was now outdated and financially unprofitable. His new information overcame his prior concepts and his mental grid recognized it. The young man is a prime example for all of us. In our field of writing, publishing and marketing we must be ready to evaluate new ideas against our deeply embedded values and concepts. In our business we see continuing changes. The old concepts of writing a book, finding an agent and becoming published is still one way to go, but not the only way. The various ways to get published are now unlimited. We could all take a lesson from Shaw. We should continuously evaluate our current status and compare new concepts against those on our mental grid. Do we need to change, can we improve our product? 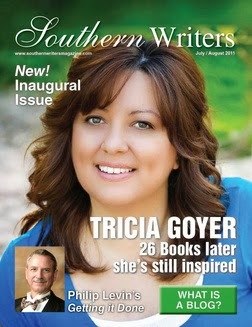 We here at Southern Writers Magazine do reflect on a regular basis and are constantly improving on what we do. Some changes are hard to detect while others are obvious. Either way a great deal of time and thought go into it. Is it time for you to take new measurements or do the old ones fit? Have you challenged your mental grid lately or are you comfortable and content? Try a new concept and let your mental grid filter it for you. You may be surprised what you come up with.